One Eternal Day: "To get better, it must get much worse." 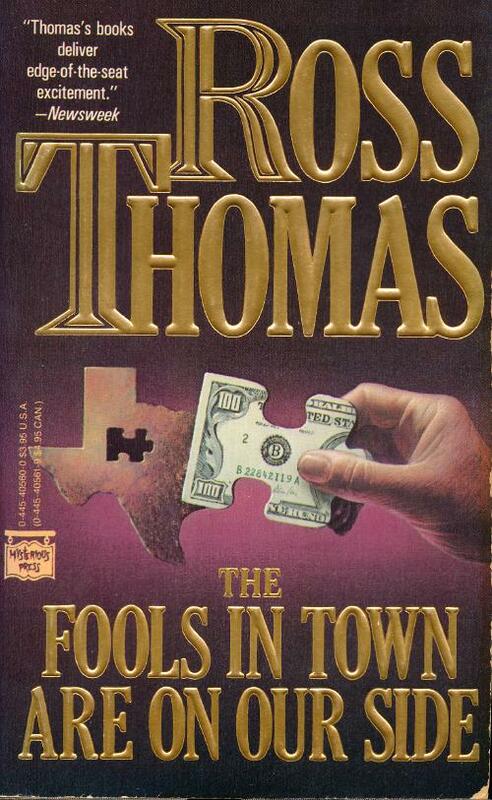 The Fools in Town Are on Our Side, by Ross Thomas. Years ago, I traded my mint first of this crime thriller to my friend David Streitfeld—and regretted it almost immediately. In my years as a book editor, I used to call up Ross Thomas to review mysteries and spy novels, and, a consummate professional, he was always at his desk. Like his contemporary Charles McCarry, happily still with us, Thomas never quite received the acclaim he deserves, though his fans are legion. In a Times Literary Supplement survey, of 25 years ago or more, Eric Ambler chose this novel as a neglected classic of its genre. The title, by the way, comes from Huckleberry Finn. 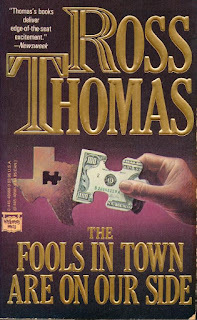 Along with Chinaman’s Chance and The Seersucker Whipsaw, which I’ve read, The Fools in Town are On Our Side is probably Thomas’s most admired novel.